I’ve been noticing the occasional Instagram account with a similar URL in the bio. Anyone who uses Instagram to try and drive traffic to another website, knows that you can only include one link in the bio. Some attempt to leverage this single link by changing it regularly for different promotions. Others use redirect magic, so the link takes you to a different page automatically. There are a number of services that let you enhance what you can do with that single link, such as Linktree. These services allow you to create a kind of landing page. Rather than linking straight to a single website, the landing page shows a simple page with custom links to your content. Not necessarily on the same website either. It’s a handy way to present the user with more options, but without overwhelming them with unnecesarry content. I tend to favour the DIY approach. 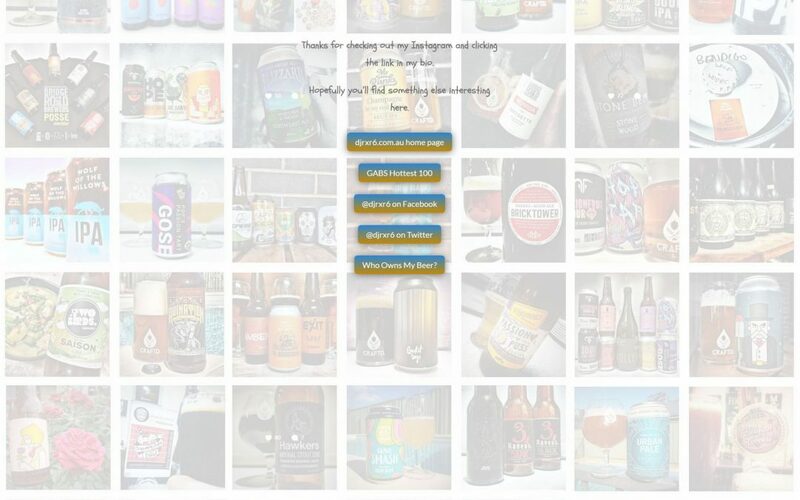 I’m a bit of a control freak like that, so I put together a simple Instagram landing page of my own. For my website, I use the Divi builder and a Divi child template, but anyone should be able to achieve something similar to my landing page without either. I used a clean page template, with no website navigation, header or footer. Just a few simple links and a couple of welcoming lines of text. Oh yeah, and I made a nice custom background of my Insta images, but that’s just a bit of fluff. Since I already have my whole website configured with Google Analytics, I should be able to monitor traffic to and from the page pretty easily. If you’re not particularly tech savvy, check out Linktree for yourself. The free version gives you what you need to get started and will probably suit the average Instagramer. For a $6 (I’m assuming USD) a month subscription, you get access to a heap of additional features, such as an email subscription service, social media links, analytics for your traffic and lots of stuff to make your page look pretty.